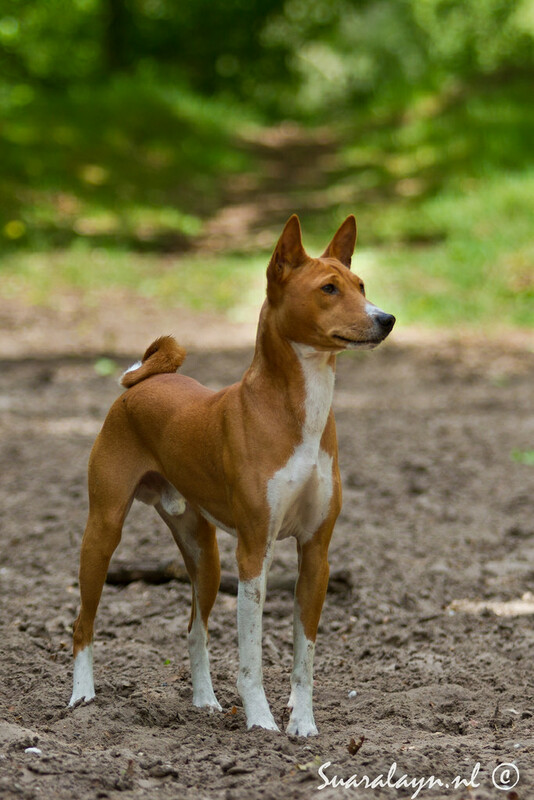 Mirtillo is my first Basenji and a real boy in everything he does. He thinks he’s a really tough guy, but actually he’s just a momma’s boy ;) He likes to be active: hiking, cycling, obedience, agility, lure coursing and track racing, he loves it all! But he also knows how to relax.. right next to his humans on the couch or, maybe even better, in bed. A lot of information, movies and pictures of Mirtillo can be found on his own website! 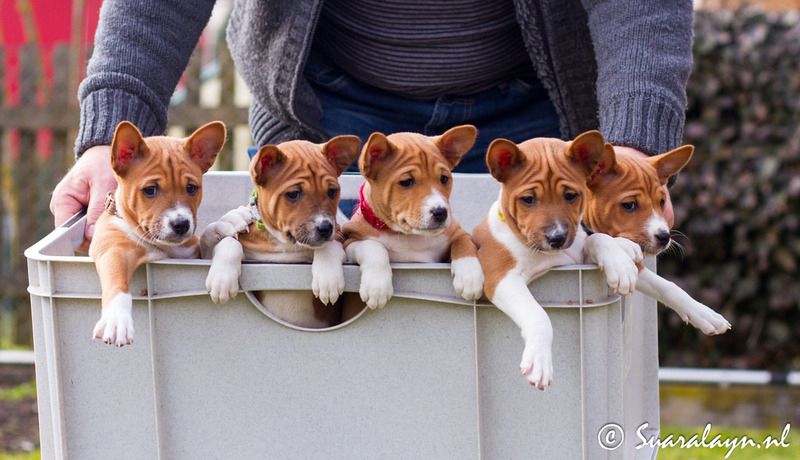 Mirtillo sired the B-litter at kennel Jicho Nyota in Germany.